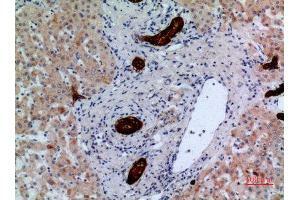 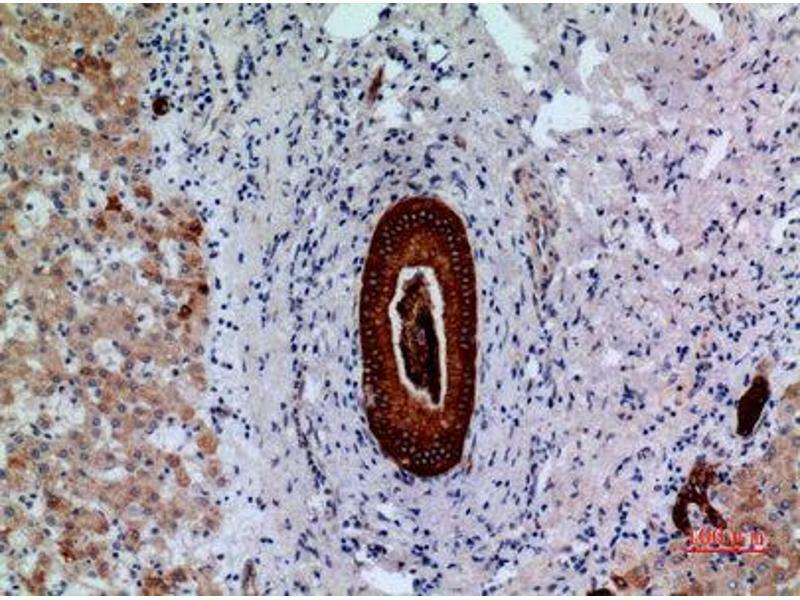 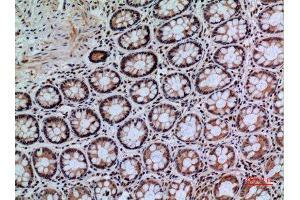 Immunohistochemistry (IHC) analysis of paraffin-embedded Human Liver, antibody was diluted at 1:100. 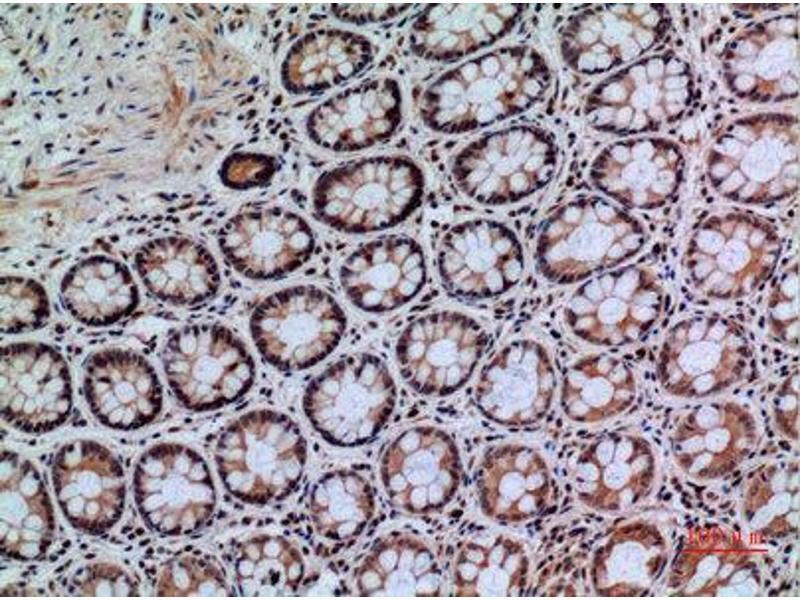 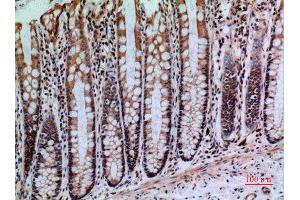 Immunohistochemistry (IHC) analysis of paraffin-embedded Human Colon, antibody was diluted at 1:100. 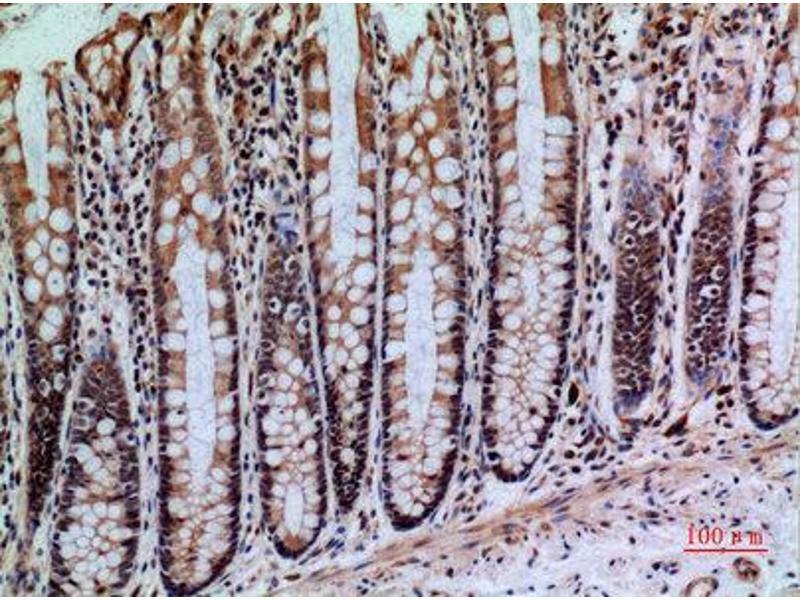 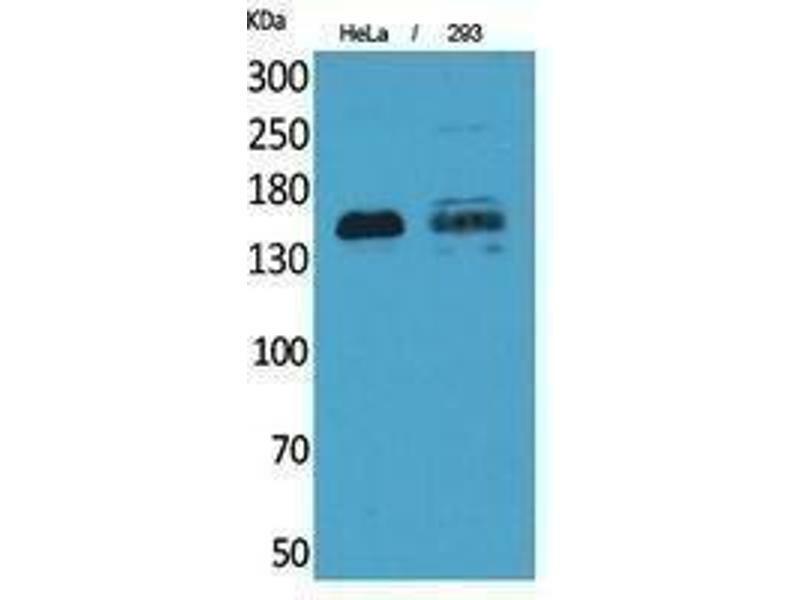 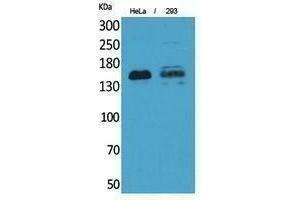 Specificity CD148 Polyclonal Antibody detects endogenous levels of CD148 protein. 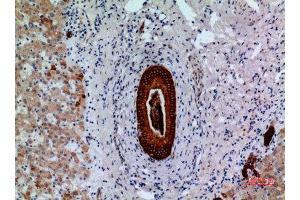 Characteristics Rabbit Polyclonal to CD148. 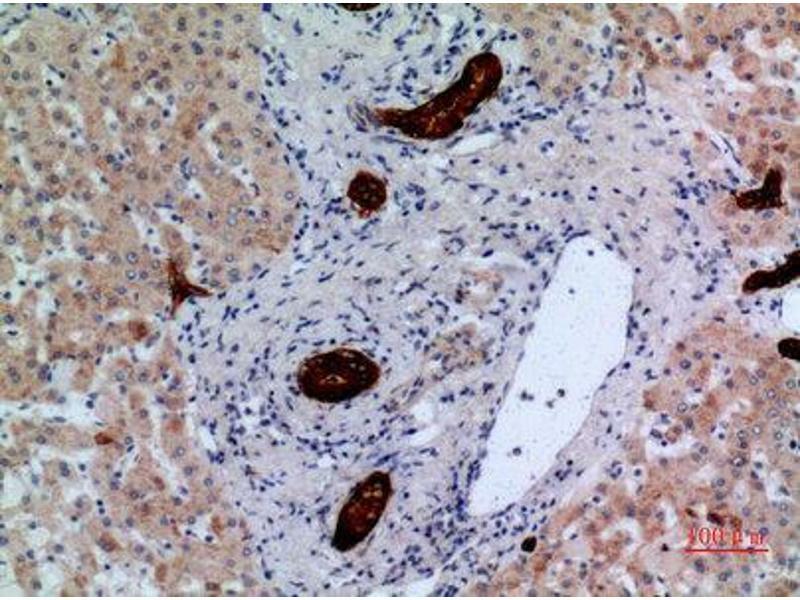 Immunogen Synthesized peptide derived from the Internal region of human CD148.